“Guess what I saw this weekend?” Dr. Hajo Neumann one of our curators asked me. Yes, folks, someone actually nailed the picture directly to the wall! So close the whole frame bends. 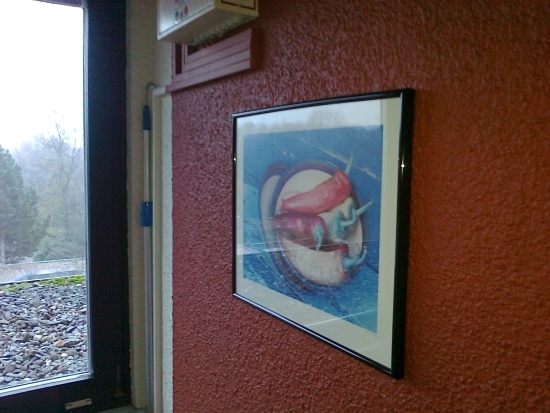 That it was hung so close to the window that it gets all the UV exposure it can possibly get is a nice extra.